I am reposting this box since I think that I made the original files with Inkscape 0.48 and I have learned since then that there are compatibility issues with SCAL1 and MTC. I have fixed and successfully imported the layered file with lines for scoring in the current version of MTC and the single layer file (without score lines) in SCAL1. The files make a box that is 2×1.25×1.25 inches (not counting the ends) when the file is set to 4.5 inches tall. I closed the box two different ways. The first box I closed by pushing in on each scored triangle and tying ribbon around the box ends. The second box I only pushed in on two of the triangles and used brads to hold the ends closed. Other options include using a strong adhesive or decorative clips or staples. The download includes a layered svg for use with SCAL2 and a single layer svg. These files are for personal use only. Feel free to link to this post, but the files are not to be shared or distributed in any way. This entry was posted on Thursday, December 16th, 2010 at 10:48 am and is filed under SCAL, SVG Files. You can follow any responses to this entry through the RSS 2.0 feed. You can leave a response, or trackback from your own site. I just received the Cricut for Christmas and my son saw me buying cartridges and immediately added a Sure Cuts A Lot program to go with it. I’m such a newbie and I want to thank you for sharing the files. This is the first project I’ve made using the Cricut & SCAL and it will be a project for a Shoebox meeting next week. I just wanted to personally say thanks. And I will be back again! I find these extremely cool!! The simplicity of the design is amazing as well. In my opinion, I believe the ribbon closure adds a nice touch to the completed package. I can’t wait to come back to your blog for more ideas. Thank you again for sharing. Thanks so much for sharing… made them a little bigger and stuffed gift cards in… perfect!!!! Really cute idea! Thanks for sharing it! These are adorable! For some reason, after updating MTC today I can’t get this file to come up. Any ideas? so cute…I can use this tomorrow for a drop-in I’m going to…you went to a lot of trouble to correct for people who still are living with SCAL 1….but that’s Heather….always so nice to help and sharing her svgs. Thank you for fixing this. I just got MTC, and haven’t even played with it yet! 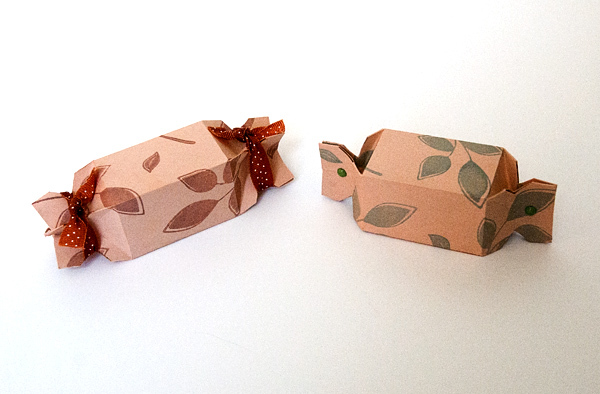 This will be so cute to use for small gifts for friends. TFS! Thanks so much for the quick fix! Too bad I waited until the last minute to use them hehe but I will probably use them for one of my kid’s birthday goodies next month. Happy Holidays!